Posted November 13, 2018 & filed under News. 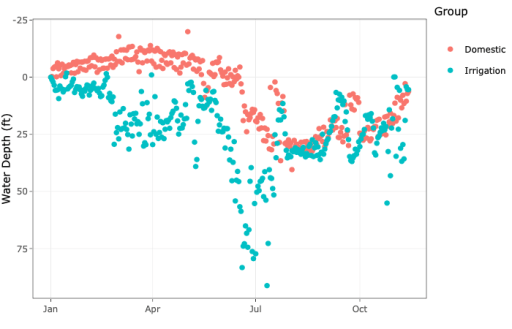 Wellntel is a revolutionary new way for groundwater managers and their consultants to access, view, explore, and act on data from groundwater monitoring networks. Automate assembly, analysis and reporting of groundwater-level information. Leverage flexible reporting tools: contours, comparisons, pivots or lists. Reveal important conditions like human impacts or environmental pressures on groundwater systems. Implement new groundwater management metrics for better diagnostics, smarter local conclusions. What can you do with Wellntel’s Analytics Dashboard? You will understand network, well, and groundwater behaviors and interactions in real time. You can automate the hard work of data assembly, parsing, analysis and reporting of groundwater-level information. 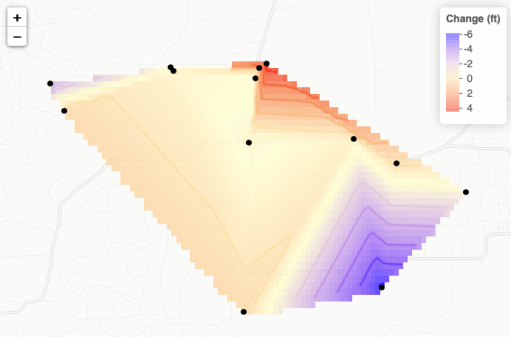 You can leverage new classes, organization and depth of information for groundwater models and reports, resulting in better diagnostics and local conclusions. Any network data — time, level, pumping, temperature, calibration data, or use-defined variables — can be reported in just about any way: contours, comparisons, pivots, counts, or lists. 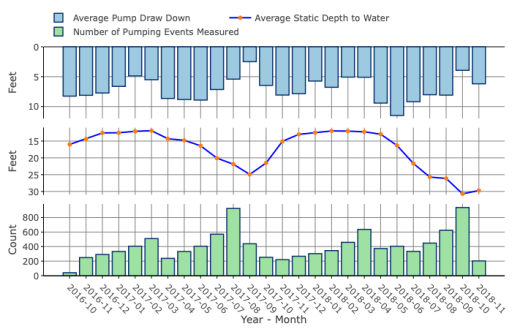 Pump Start, Pump Run, Pump Stop, Pump Influence and Well Recovery meta-tags reveal important conditions like human impacts or environmental pressures on groundwater systems and enable new management metrics. 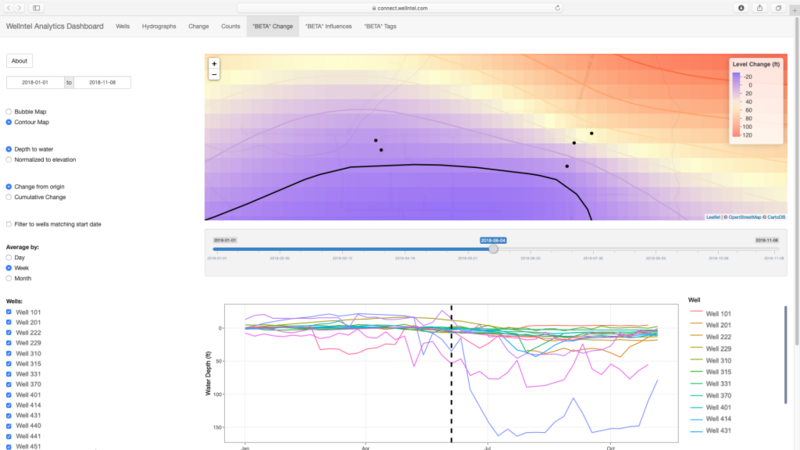 The base library includes fundamental tools like hydrographs and change maps, and Wellntel Scientists will respond to requests for new visuals or variations within a few days. Seats are priced according to network size. One seat is provided with a 10 well network, and an additional seat is provided with each set of 10 additional wells. Additional seats can be purchased. Existing Wellntel Sponsors will automatically be upgraded to Analytics Dashboard but additional charges may apply, depending on the number of sensors in their network. Data can be formatted and fed to any website or database, so agencies with public reporting can automate delivery. Sponsors with outside consultants can provide approvals and request additional seats at no charge. Partner Consultants with SAAS and DAAS offers can connect proprietary systems to Analytics Dashboard via API. The Wellntel privacy and security architectures remain in place. Sponsors will only have access to wells in sponsored networks with an agreement from owners to share data. Come see us at Groundwater Week, December 3-6, 2018, at the Las Vegas Convention Center, Booth 871. If you can’t be at the convention, then sign up for a free Webinar here.